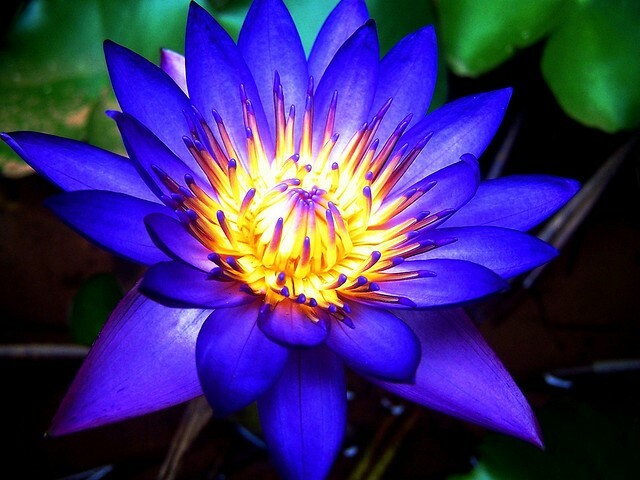 Blue Lotus, formally known as Nymphaea caerulea and called Sacred Blue Lily of the Nile, is distinguishable for its light blue flowers and for its influence in the Ancient Egypt. This flowering plant, which was one of the most popular plants for Egyptian rituals, grows wild in the Nile, including in the delta and wetlands but is now planted in manmade bodies of water. Its flowers are valued not only for their elegant beauty but also for their inebriating effects. Fresh Blue Lotus is prepared as a tea or soaked into wine before drinking and then smoking dried plant material. For its psychoactive effects though, the flowers and buds are best to use. Psychoactive extracts can create a feeling of euphoria, ecstasy and well-being. Interestingly, it becomes the symbol of creation and sexuality in Egypt, significantly often depicted in illustrations with a woman holding the flower to hint her childbearing ability or that she was desirable, while also illustrated with a man holding it to symbolize his potency. More on its effects: Blue Lotus can produce, aside from euphoria, a narcotic effect, but can also cause hallucination at higher doses. For the best results, contemporary vendors suggest that one should take 0.25 gram of extract soaked in water, but one should avoid exceeding this amount, or else, his wine/tea could taste bitter. As published in the article “Blue Lotus: Entheogen of Ancient Egypt,” its main effect could probably be a pleasant feeling of warmth in the head and body, something described as ‘comfortable, dreamy feeling that comes with a slight stimulation.’ And based on several reports, use of the Blue Water Lily could increase state of awareness, something like the opening of the third eye or of the sixth sense. Tidbit: In Buddhism, Blue Lotus is the symbol of knowledge, intelligence and wisdom and victory of the spirit over one’s senses, often illustrated by a slightly opened bud, which center is hidden embodying wisdom’s perfection.